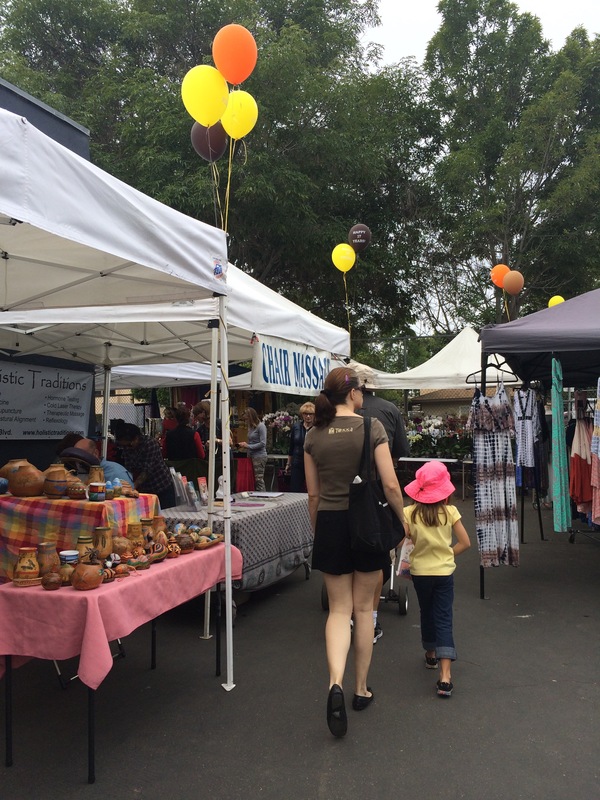 Vista may host the oldest and longest running Farmers Market in the San Diego area, but La Jolla has one of the best- the La Jolla Open Aire Farmers Market. 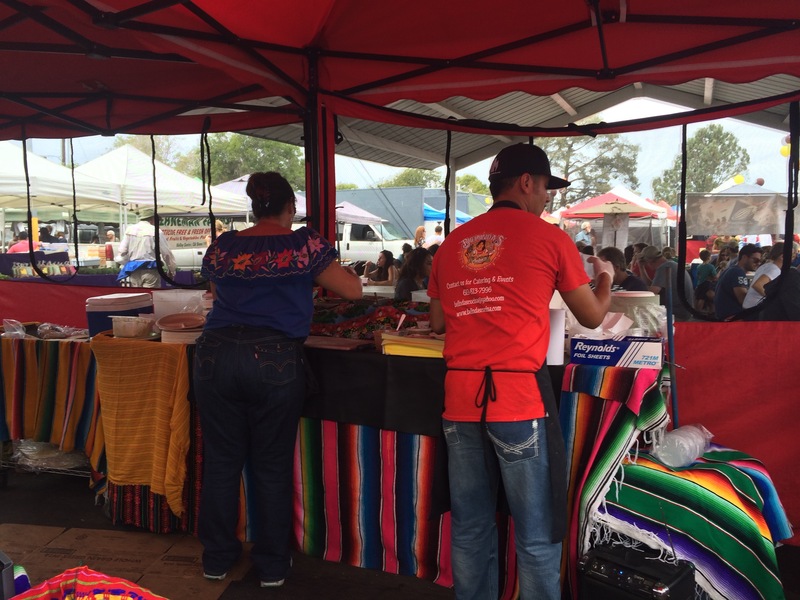 A couple dozen international food stalls serve breakfast and brunch foods for you to snack on while you shop at a wide variety of produce stands- organic and conventional. Need to pick up some specialty oils, vinegars, or specialty food treat for a gift (or a treat for yourself)? 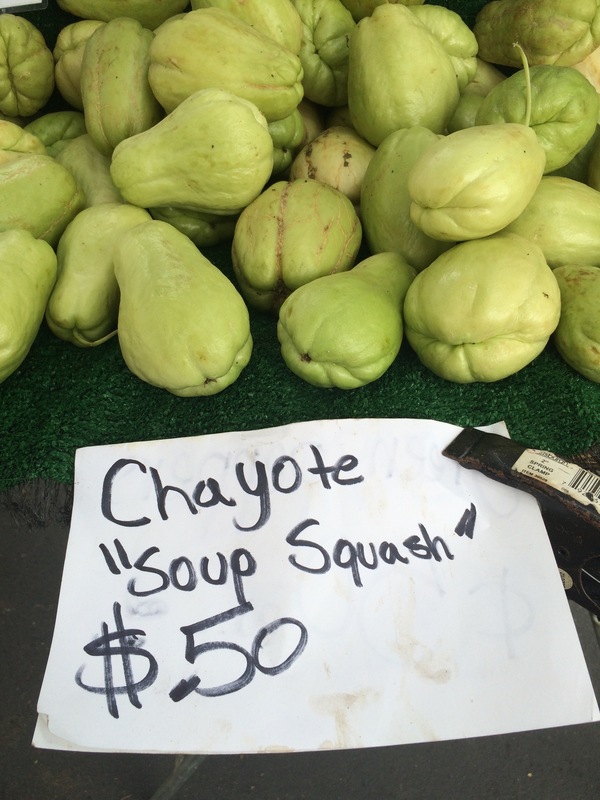 La Jolla’s Farmers Market has you covered. 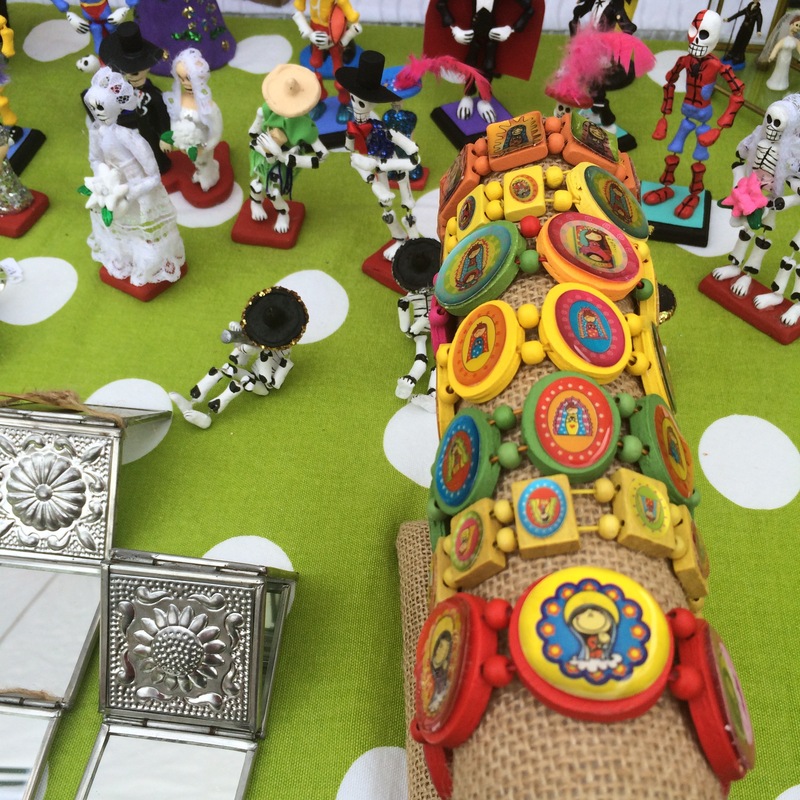 To top off the variety of vendors the market includes upwards of forty or more stalls selling hand made clothing, trinkets, art, and the odd collection of curios for sale. 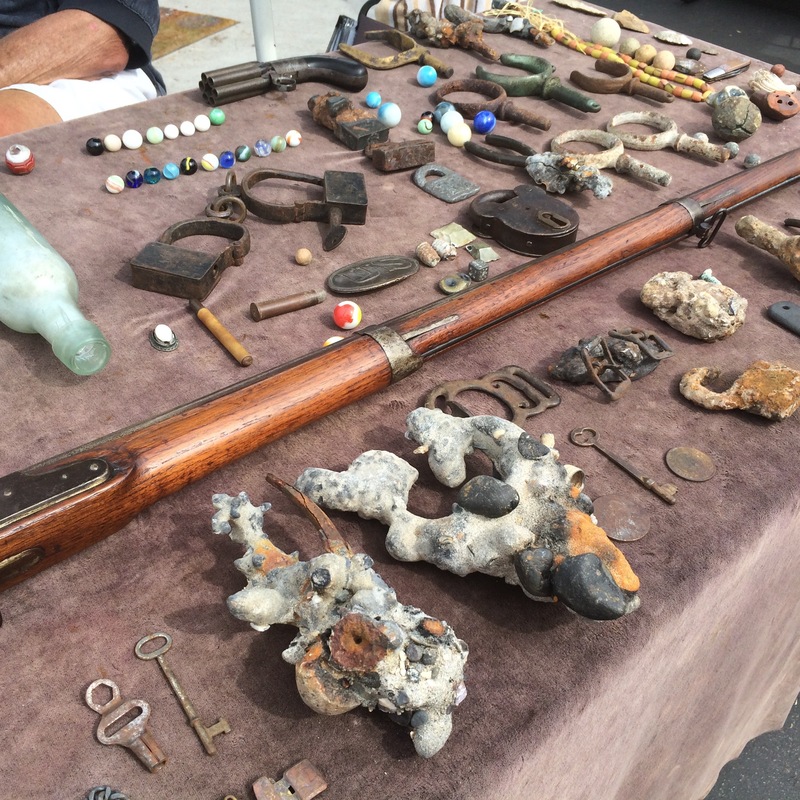 One guy dives shipwrecks, for instance, and has a small table of items he has brought up from the ocean floor. He’s dived all around the world and has brought up literally millions of dollars worth of gold and artifacts. Go visit him and ask questions- he’ll tell you about the most expensive individual find, oldest, surprising, and the dive that made him the independent hobbyist that he can be today. It was quite fascinating to hear his stories. 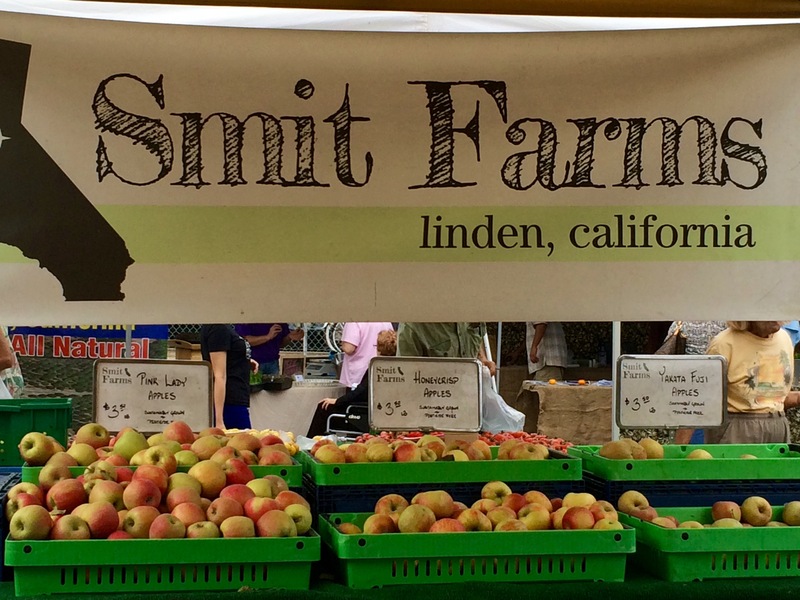 Smit Farms sells at several markets I visited this week, and I bought their cherry apple cider at Mira Mesa’s market, their onion and garlic pistachios at the Ocean Beach market, but The Husband was the one to cave in to their produce this time. The apple samples pushed him over the edge- we are now the proud owners of two pounds of honey crisps and one pound of those delicious grapes. 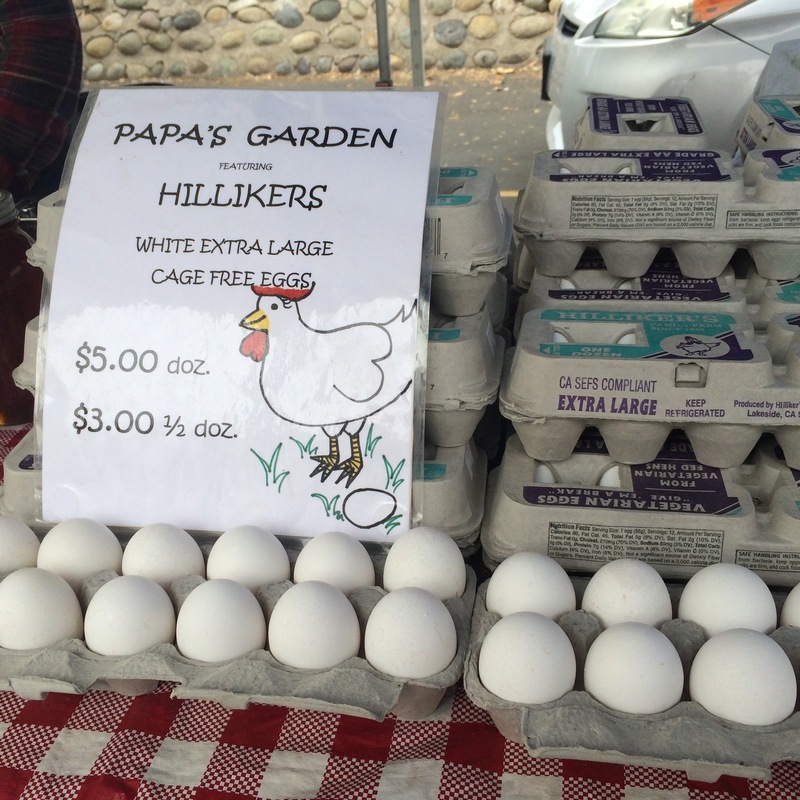 Anyone selling cage free eggs had great prices here- as a matter of fact, they were some of the best prices that I can recall from all the local markets. Some of the egg vendors really appreciate it if you can bring back the cartons and reuse them, how’s that for reusing and recycling? This is a wonderful, lively, varied, great place to shop. 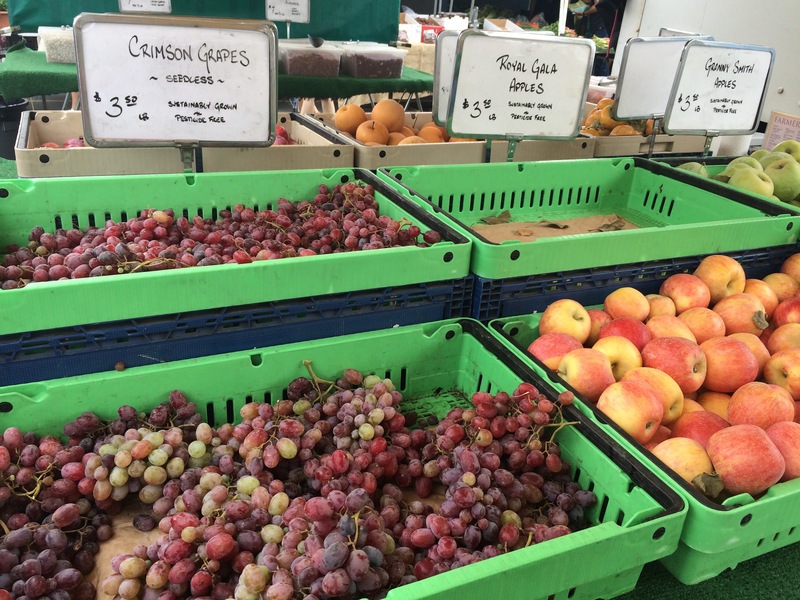 We know people that spend the entire morning and afternoon here in La Jolla- they attend their church’s early service, eat a nice breakfast at Harry’s Coffee Shop, then hit the Farmer’s Market. I think they have a great thing going, for sure. 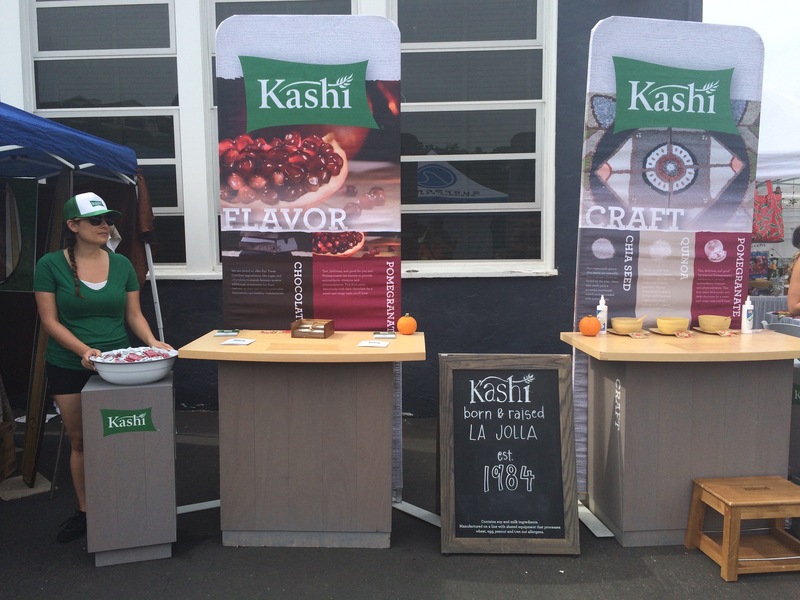 Did you know that Kashi foods started in La Jolla? 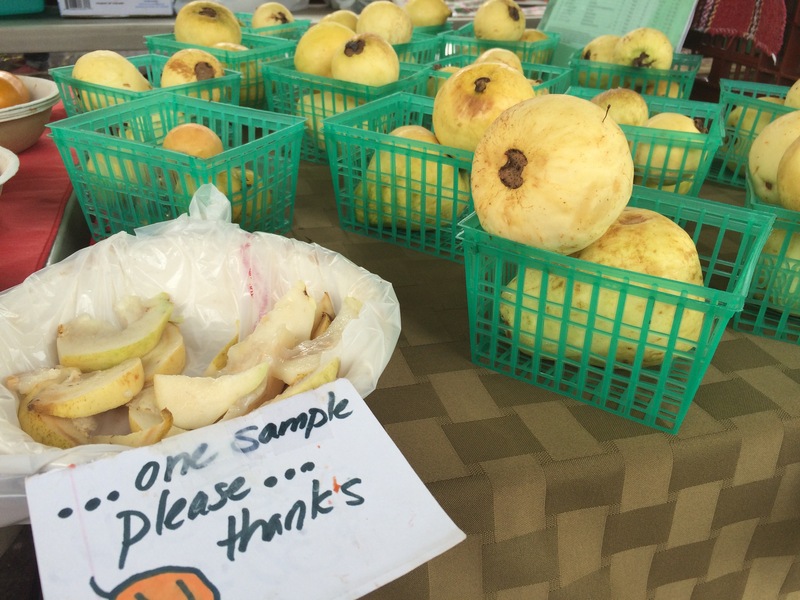 Never tried a guava… holy cow, they were delicious! More than one person buying from Belinda’s Cocina swore to us that they eat here every weekend because it is The Best Mexican Food in The Entire Area. Our chile relleno and chorizo burritos were fabulous. 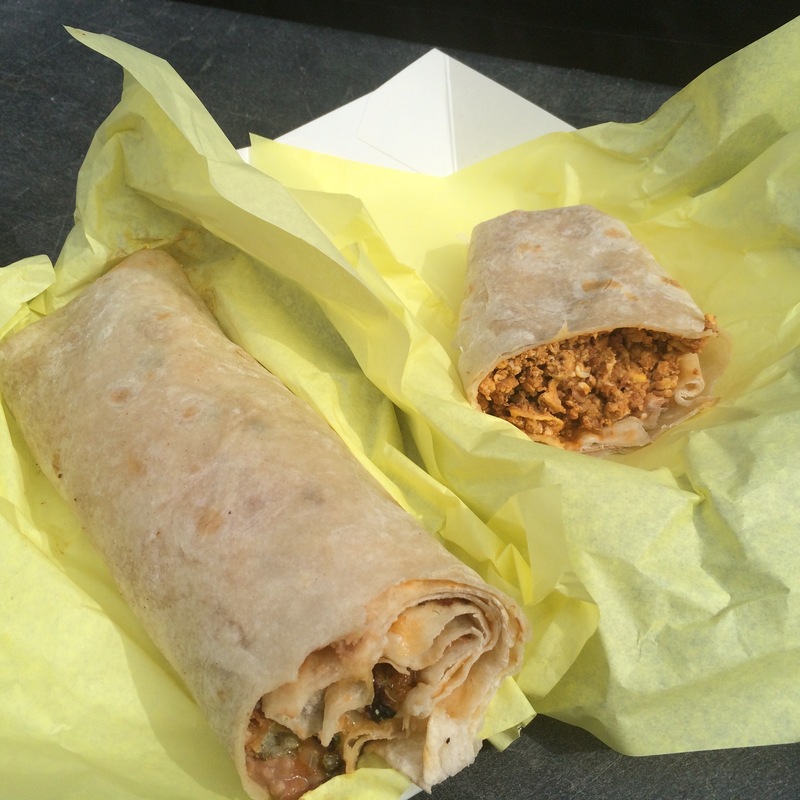 The chorizo burrito (right) didn’t stand a chance against The Hungry Husband. It was indeed DELICIOUS! So was my chile relleno burrito (left).